HOUSTON/WASHINGTON (Reuters) –Tributes to former President George H.W. 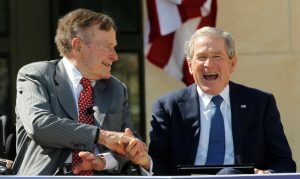 Bush, who died at the age of 94, poured in from around the world on Saturday as global leaders honored him for his role in helping to end the Cold War and reduce the threat of nuclear annihilation.Bush, the 41st U.S. president who served in the office from 1989 to 1993, also routed President Saddam Hussein’s Iraqi army in the 1991 Gulf War but lost his chance for a second term in the White House after breaking a no-new-taxes pledge. 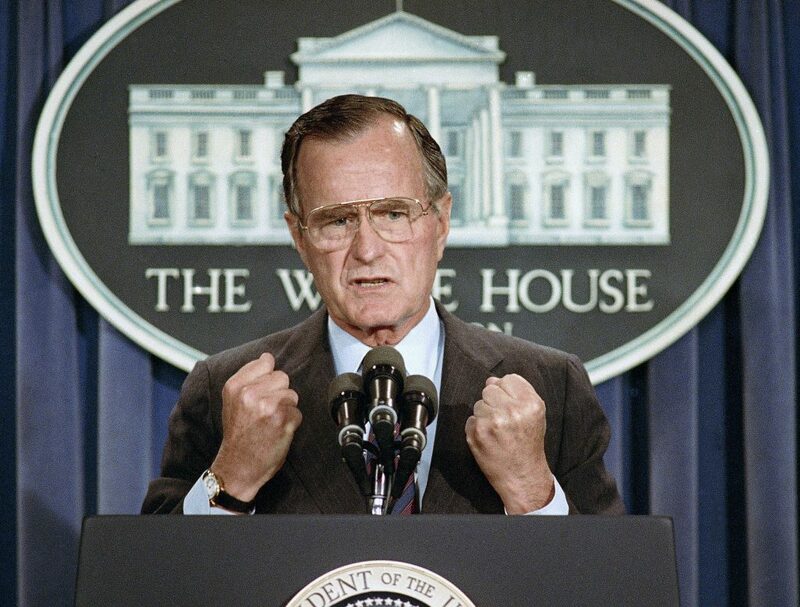 Bush, who also served for eight years as vice president during Ronald Reagan’s two-term presidency and earlier as head of the CIA, died on Friday night at his home in Houston. His death was announced by his longtime spokesman Jim McGrath. The White House said a state funeral is being arranged in Washington.Bush‘s body will arrive at the U.S. Capitol on Monday and will lie in state through Wednesday morning, with a ceremony set for 5 p.m. on Monday. Trump said he spoke Saturday to former President George W. Bush about his father’s death. Trump also said the presidential plane will be flown to Houston to bring Bush‘s body to Washington after Trump returns from Argentina. The president, who plans to attend the funeral, also designated Wednesday as a national day of mourning, and ordered the lowering of the American flag for 30 days. 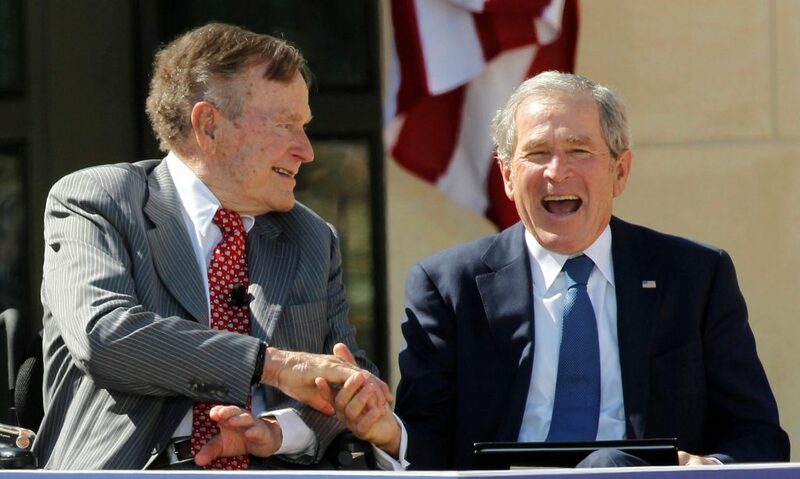 Bush, a U.S. naval aviator during World War II, was the father of former President George W. Bush, who served two terms in the White House in the 2000s, and former Florida Governor Jeb Bush, who unsuccessfully sought the 2016 Republican nomination for president. Like his sons, he was a Republican. 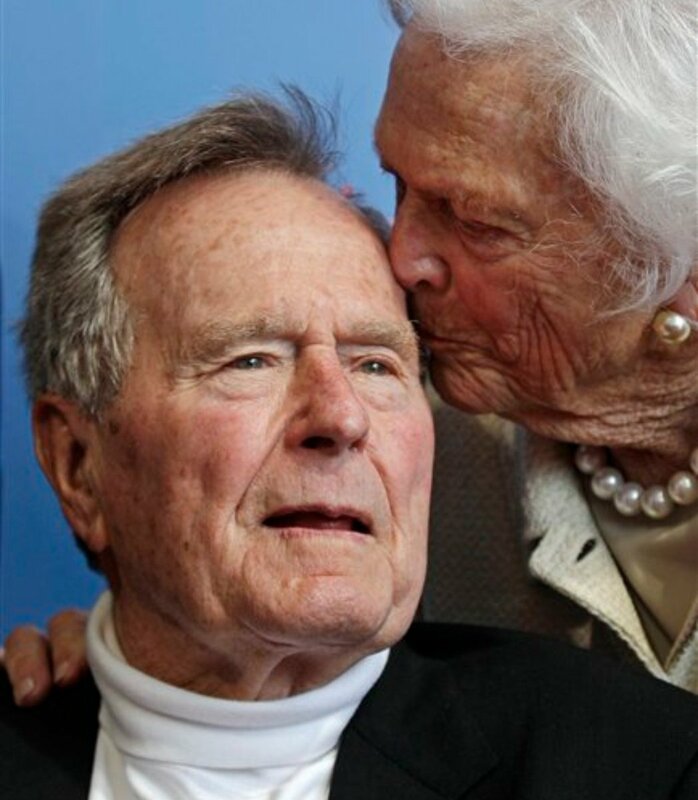 His death came seven months after that of his wife, former first lady Barbara Bush. He was admitted to a Houston hospital with a blood infection a day after her funeral in April. His second son, Jeb, undertook his own campaign for the presidency in 2015 before dropping out. Bush‘s father, Prescott Bush, was a U.S. senator from Connecticut. 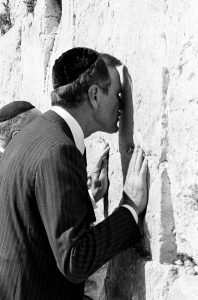 Bush had first sought the presidency in 1980, campaigning on experience gathered as a congressman from Texas, envoy to China, director of the CIA, United Nations ambassador and chairman of the Republican National Committee. Reagan, former California governor, vanquished Bush in the Republican primaries but chose him as his running mate, hoping Bush‘s reputation as a moderate would balance his own hard, conservative image. 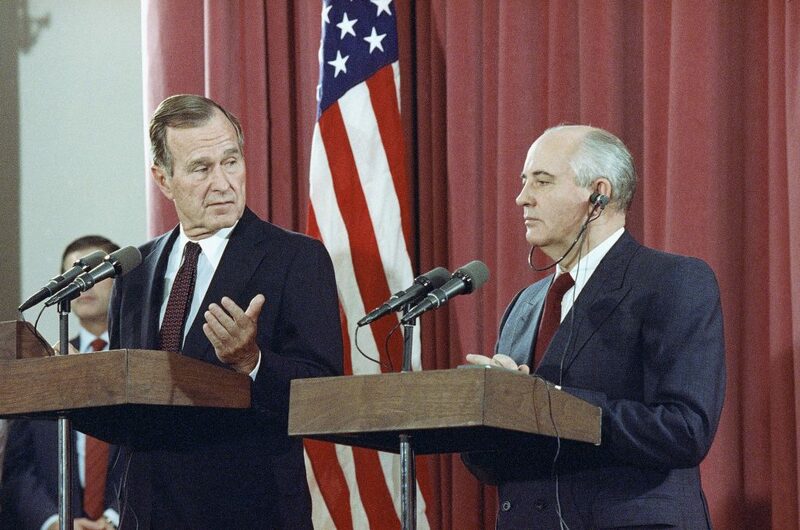 The high points of Bush‘s presidency included the end of the Cold War, which brought the dissolution of the Soviet Union and its hold on former Eastern Bloc countries. Bush won a decisive victory in ousting Saddam’s Iraqi army from Kuwait, bringing him popularity at home, and made progress on Middle East peace. 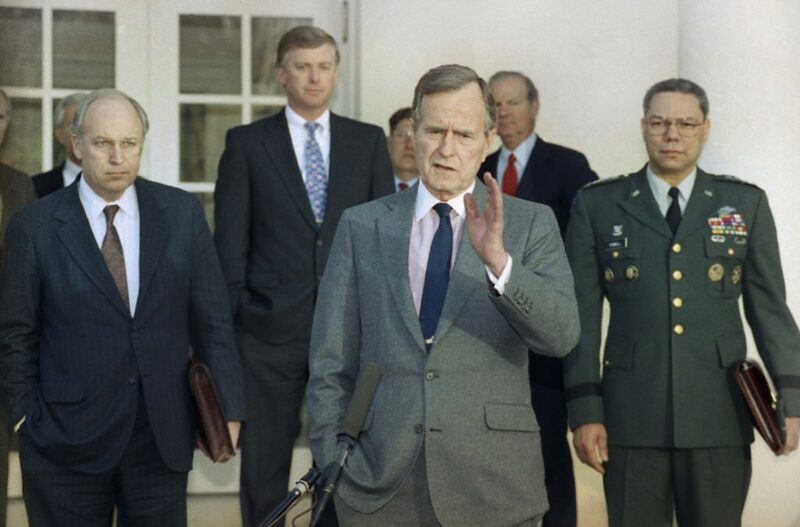 But Bush‘s foreign affairs victories were overshadowed by a stagnant economy at home. He broke his “read my lips” pledge not to raise taxes and lost his 1992 re-election bid to Clinton, a Democrat. Bush, who was born on June 12, 1924, in Milton, Massachusetts, grew up wealthy, attending elite schools but putting off college so he could enlist in the Navy at 18. He flew 58 missions off aircraft carriers in World War II and survived being shot down over the Pacific Ocean.